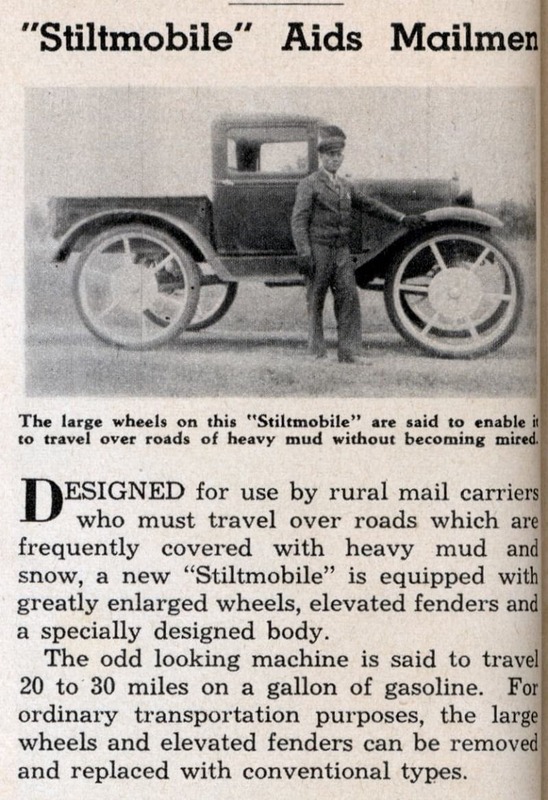 Stiltmobile rural mail carrier. 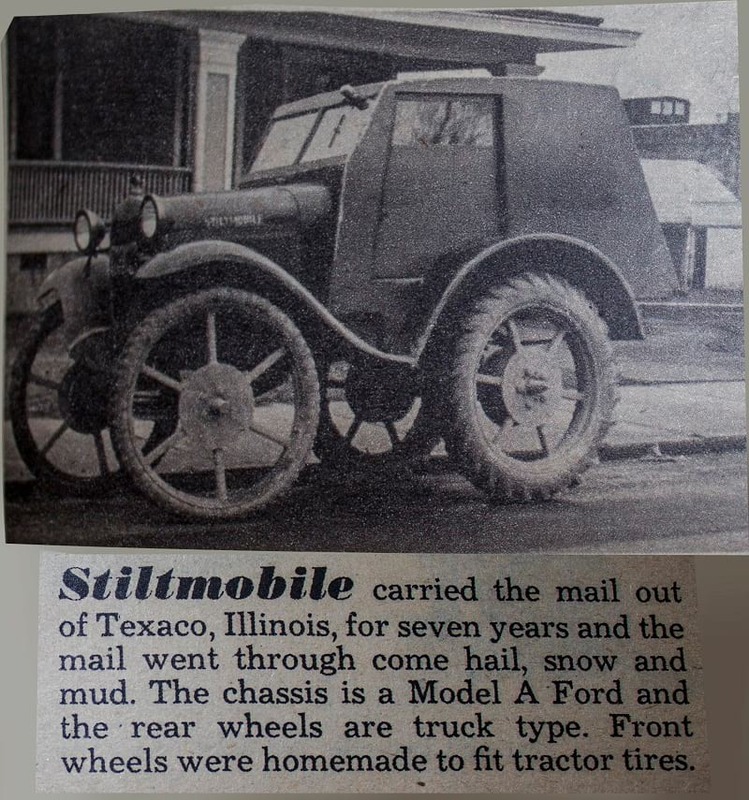 A Ford Model A fitted with truck wheels. We have it so easy these days. Just go to the dealer and buy a 4x4. Done!